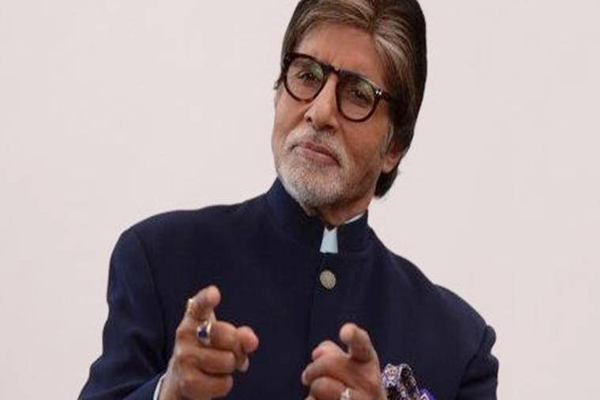 New Delhi(PTI): Megastar Amitabh Bachchan, who plays a 102-year-old man in his latest film “102 Not Out”, says he strives to better himself with each film rather than focus on goal posts. According to the 75-year-old, who has been in films for almost 50 years and continues to bat, ‘not out’, every day is a learning experience. His work ethic, he said, is not to break records. If the audience does not notice the artiste’s efforts, he or she tries to up their game the next time, Bachchan told PTI. Excerpts from an interview with the versatile actor on his upcoming film, which releases this Friday, his understanding of the generation gap and the legacy of writing in his family. Q. The trailer shows the dynamics between a father and the son. You have been a famous son to a famous father, legendary poet Harivansh Rai Bachchan and vice versa. How would you describe your relationship with your father and son Abhishek? A. My father, made his ‘nom de plume’ his and our surname – Bachchan. He gave it dignity, value, creativity and respect. I would ever endeavour to carry his legacy forward and expect the next generation to do similar. Q. What did you discover about yourself – both as an actor and a person – after working on “102 Not Out”? A. Every day at work is a learning (experience). We hope that the viewer shall notice it. If not, we shall strive harder the next time. Q. How would you say generation gap between the newer generations is changing today in the digital age? A. Each decade, or at times less, shall bring a new generation into the world. They come with their own ideas, outlooks and understandings of life. Growth depends on this. I welcome it and make an effort to be in tune with them. Social media is a help, as is my own effort on the blog and other such platforms. Q. How was it reuniting with Rishi Kapoor after almost three decades? Could you share some inside stories? A. Getting together after a gap of 27 years with Rishi ji, was just like getting off a bicycle and getting on it again. The inside stories would take a lifetime to narrate. Suffice to say they were all very pleasant and joyous. Q. How was it working with director Umesh Shukla? His “OMG: Oh My God” was brilliant. A. He is a consummate director and easy to work with, giving a free hand of his interpretations to his actors. I hope that after you see “102 Not Out”, you will be able to pay him the same compliment as you have for “OMG”. Q. Your character in the film is trying to break the record for the oldest man held by a Chinese man in the movie. After almost 50 years in Hindi cinema, what more records do you want to break? A. I am not aware if I have broken any records. But certainly my work ethic is not to break records, but to break my back in trying to do justice to the work that I have been subscribed to. Q. Your daughter Shweta Nanda has written a novel. Looks like she will keep the tradition of writing alive in the family? A. Indeed yes. I am a very proud father more so because she carries the legacy of my father forward. Q. Do you think there is a book somewhere waiting inside you despite your busy schedule? A. Never. I possess no such qualities. who plays a 102-year-old man in his latest film "102 Not Out"